Ghost signs are hand-painted, outdoor ads that have been preserved on sides of buildings. They are also known as fading ads or brick ads and were prevalent from the 1890s through to the 1960s. As outdoor advertising mediums evolved, ghost signs became a less popular way of advertising products and services and were replaced by billboards and vinyl banners. 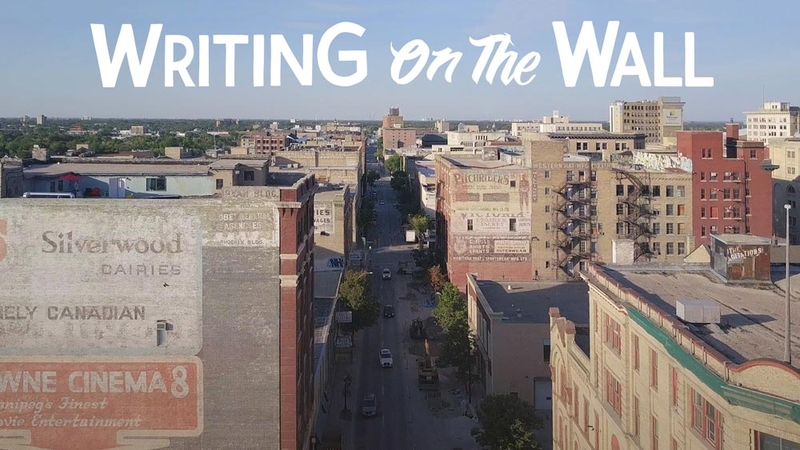 The walking tour will be followed by a free screening at noon, in Old Market Square, of the 2017 film Writing on the Wall, courtesy of Handcraft Creative, Winnipeg. Join us for the tour, the film or both. Sponsored by The Exchange District Biz.